Uganda Cranes goalkeeper and Mamelodi Sundowns keeper Dennis Onyango was named on the FIFPro team of the year.He was the only African based player named in the squad. This was during the Aiteo CAF Awards 2018 held in Dakar, Senegal on the night of Tuesday, 8th January 2019. Onyango was once again inspirational for Uganda Cranes in the qualification to the 2019 Total Africa Cup of Nations, making it unbeaten with a game to spare and not conceding in as many as five matches. 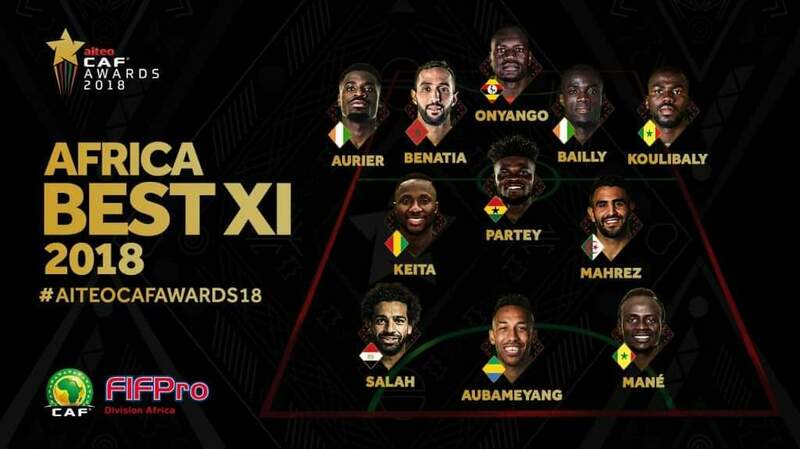 The other team players on the team include; the CAF footballer of the year 2018 Mohammed Salah, Aurier, Benatia, Bailly, Koulibaly, Keita, Partey, Mahad Mahrez, Aubameyang and Sadio Mane. Onyango was present in Dakar to pick his award. Meanwhile, Mauritania was named the CAF national team of the year, coming ahead of Uganda Cranes, the other nominated team.